Do you dream of becoming an athlete like Solihull’s Danni Khan? If the answer is yes, you need to know why it’s important for athletes in Solihull to look after their oral health. Dentists claim that elite athletes could stand a better chance of winning gold medals if they look after their teeth. A study published published in the British Journal of Sports Medicine, showed a fifth of athletes said their oral health damaged their training and performance. The Oral Health and Performance in Sport conference in London heard that athletes’ oral health was often below sub standard and could impair training and performance. 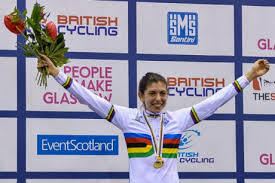 If your dream is to become an athlete like Solihull’s new cycling ace Danni, who has recently returned from participating in the Commonwealth Games then it’s even more important to make sure that you visit the dentist regularly and look after your teeth. The 18-year-old was representing Team England in her first multi-games event in the Sir Chris Hoy Velodrome in Glasgow and came seventh overall in the individual track sprint and sixth in the 500m time trial.GB’S boxing team doctor, Dr Mike Loosemore, told the BBC: “I’ve become aware over the years that dental problems have been interfering with training. It stops them getting that little bit fitter and may have a consequence when they get into the ring and box.”He says things are now improving after regular dental checks were introduced, even if they are not always popular with the boxers.”They don’t like going to the dentist. They’d much rather be training. However, it has made a difference to their teeth and they are spending less time away from their training, and that will make them a better boxer.